← Scotland, a great place to start. 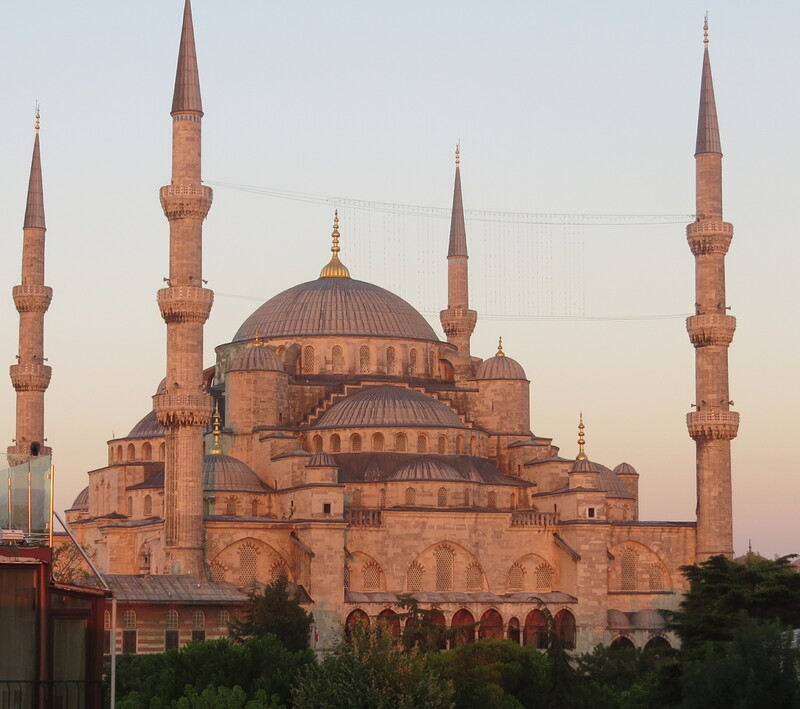 This entry was posted in Istanbul, Turkey and tagged Blue Mosque, Istanbul, Turkey. Bookmark the permalink. You are probably right. Haven’t had a decent night’s sleep since leaving Ca. Thanks, loving new camera, just wish it wasn’t so big. Oh and good idea from you, Uzbekistan Embassy in the morning. Alas, no hat, yet! Warm and thunderstorms here today. So sorry to hear about your not being well on the first day of your trip – but it didn’t sound like too much of a disaster. You did the right thing,went back and slept, gave your poor ole bod a rest. The past few weeks must have been totally knackering, but with your attention focussed on the kick-off, you haven’t had the opportunity to stop and re-charge your batts. Istanbul is an awesome city, it sounds like you got to see it at the best time of day when you went up onto the roof! Make sure you take things really easy for a few days, your system needs to adjust. Enough nagging from me, enjoy the sights! Did you manage to get your visa and train tickets? Thanks Annie. Yep, may take a while to recover from the last few months. Your body obviously needs time to adjust after the last few weeks – you have focussed on your trip but you have had a busy time of it lately and it’s taken its toll. Despite that, your first day doesn’t sound like a total disaster at all – what a fabulous start to the day! 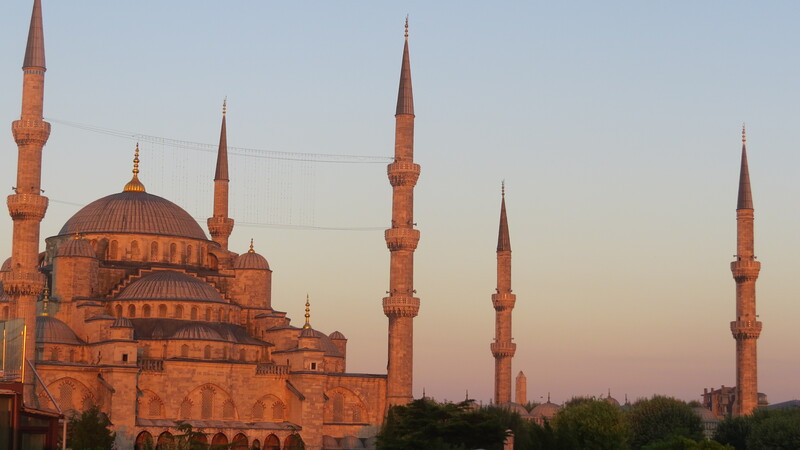 Istanbul is an awesome city and it must have looked fantastic in the early morning. Yes, drink LOTS of water and try to get plenty of rest before the next leg of your tour. But enough nagging from me – have fun! Very sorry to hear about your sunstroke. Did you ever get the hat? still no rain here. Glued to Glasgow on the telly. Alas, still no hat! Working on it.